Recent research suggests that optimum levels of vitamin D intake may be far higher than had been thought. Food sources are limited and the natural production of vitamin D in the skin from sunlight is restricted in the winter months. And our skin’s ability to convert vitamin D from sunlight declines as we get older. 'Deficient' means that you are not even getting enough vitamin D to meet the official RDAs. Many expert researchers believe that an optimum blood level of vitamin D brings health benefits well beyond its effect on bones, muscles and even the immune system. Vitamin D supplements are now widely recommended by health professionals and government experts, including Public Health England. The consensus from Public Health England, the European Food Safety Agency and the US National Institutes for Health is that the safe level of daily supplementation for adults is up to 4,000 IU of Vitamin D, while many Vitamin D health researchers advise up to 10,000 IU per day. 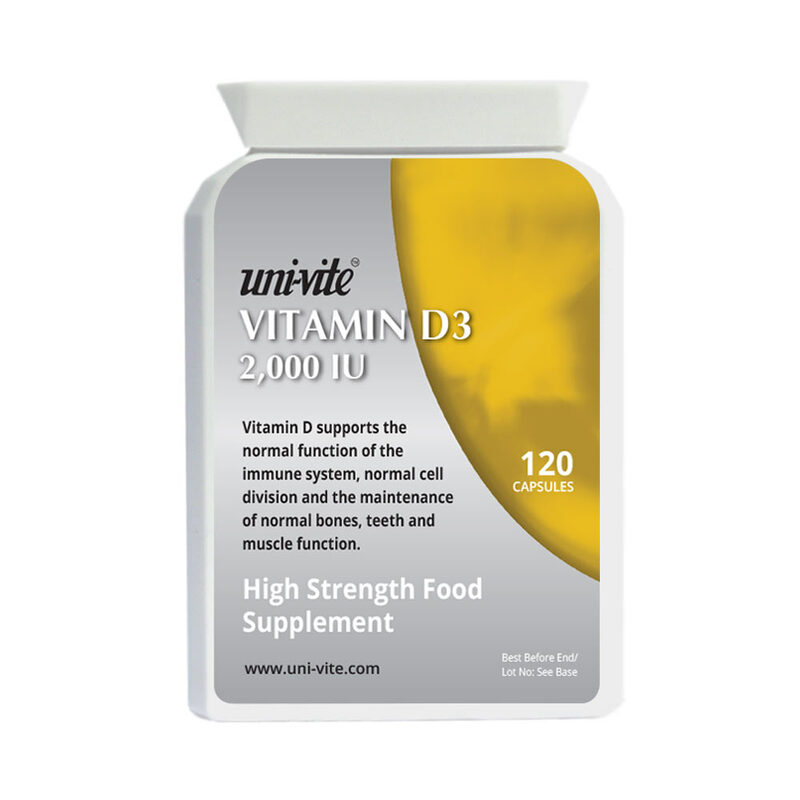 Uni-Vite Vitamin D3 is supplied in micro-capsules of 2,000IU.